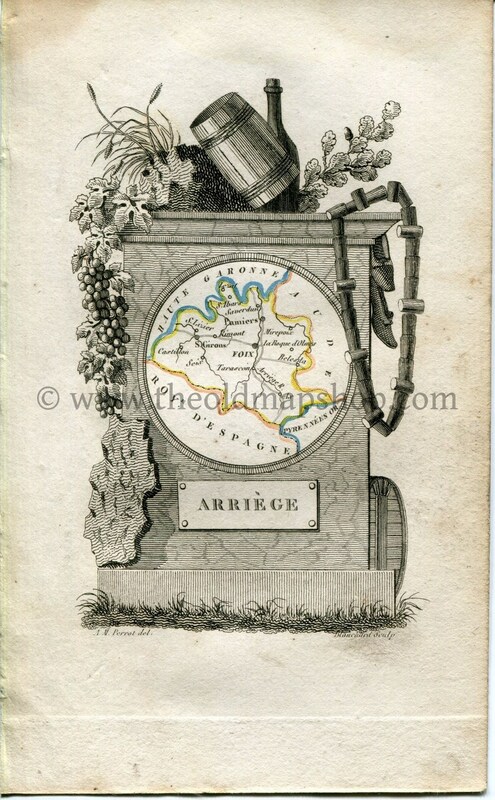 1823 Perrot Map of ARIEGE France, Antique Map, Print. Outline Original Hand Colouring. 1823 Perrot Map of ARIEGE, France, Antique Map, Print, is from "Atlas Portatif du Royaume de France....", by A M Perrot. DATE PRINTED: 1823 in Paris. 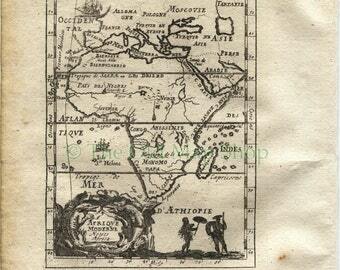 This was printed from a copper engraved plate on handmade paper. Has outline original Hand Colouring. CONDITION: Please study the large scan for all details. Some of these French Department maps have marks and also damp staining to some extent which can be seen in the scan if present. 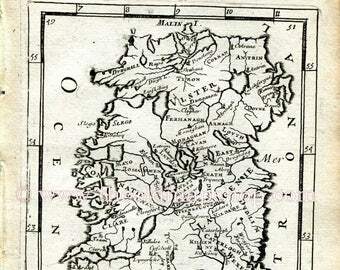 ADDITIONAL COMMENTS: Please note that this antique map was actually printed in 1823. This is not a modern reproduction. 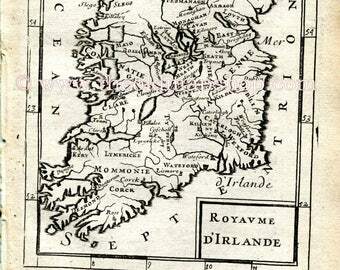 PLEASE NOTE: The last 2 images show a scan of the Title Page and Frontispice. These are for provenance only and not included for sale in this listing. SHIPPING: Oversees Airmail Worldwide and within Australia by Australia Post. 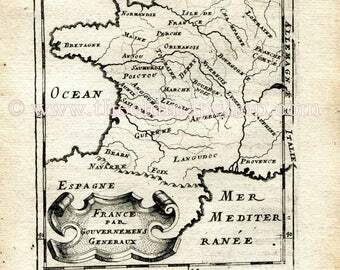 1823 Perrot Map of AVEYRON France, Antique Map, Print. Outline Original Hand Colouring.